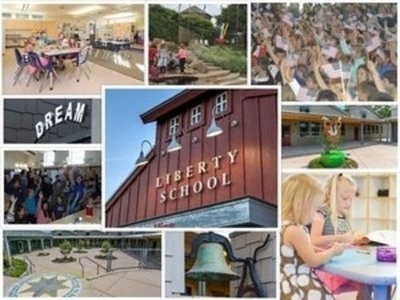 Liberty Elementary School encourages parents and members of the community to contact us and visit our school. Please contact us with any questions, comments or suggestions you may have. If you’re planning a visit, please check in with our front office upon arrival. In the interest of student safety and security, we must know if you are planning to be on school property during school hours. In the 2004-05 school year the California Virtual Academy @ Sonoma (CAVA), an independent study charter school, was formed as a new school under the auspices of the Liberty School District. CAVA has its own school board and functions independently of the Liberty District, although Liberty provides financial oversight and does payroll for CAVA. For more information go to CAVA's website.